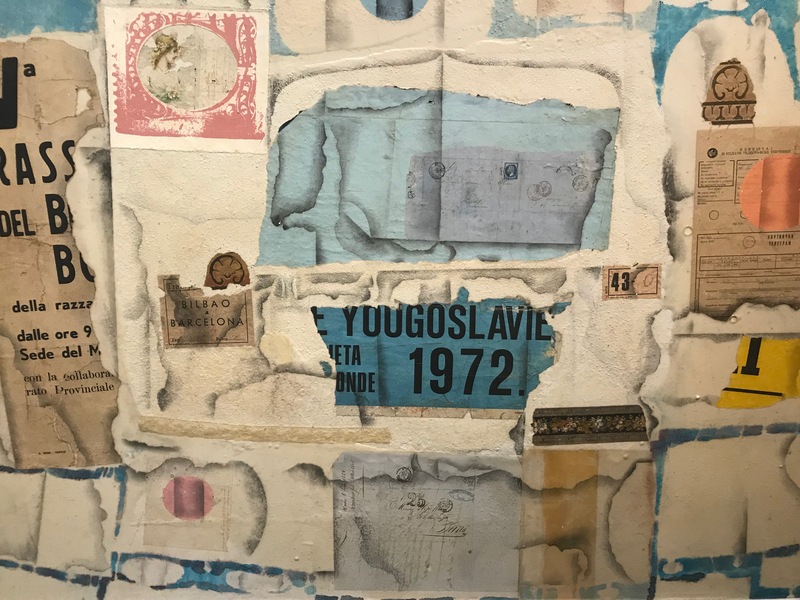 In an unnamed exhibition with perhaps an unnamed collection of artworks, Mr. Michael Arntz puts forward a rare breed of meticulous depth to his compositions at The Landing while simultaneously interconnecting each piece to portray a larger commentary on immigration. What makes the narration purely aesthetic and an anvil which hammers away at any suspicions of social critique is the captivating lives imaginably gathered in each piece. A lesser artist would have been too overt to ring a contemporary political bell in affirming the immigrant life. The canvases would have a taste of sour pettiness which may uplift some, but only temporarily, like a sugar rush; it is otherwise unhealthy to consume. Mr. Arntz, however, aims his sights at the pure humanity nestled away from plain sight when dabbling and debating politics. Immigrants are spoken about so abstractly in political discourse, it is often that the precious intimacy of each human life of an immigrant is lost. And verily, this intimacy often includes a wellspring of otherwise random disposable parchment that are valuable when seen through the windows of a particular immigrant’s eyes. Imagine each artwork here as a personal collage then, of immigrants who have planted their seeds in American soil and having them sprout. This is no doubt the instinctual focus of Mr. Arntz in his reaction to the negligence of American ancestry by the curtly hostile to newcomers. That, this land was made richer by the contributions of outsiders willing to transplant their lives – a daring feat. But it is negligent that not to emphasize the extraordinary detail devoted to each life. With such fastidiousness we have an overwhelming appreciation of, yes, Mr. Arntz’s conscientiousness, but further, the unseen depth of cherishment found in every human life. Masterfully, Mr. Arntz attempts to unify them all: that they are grateful to be alive.